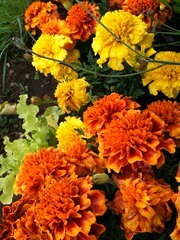 Butterfly gardens require several things to be successful: plants, water, and the right gardening attitude. 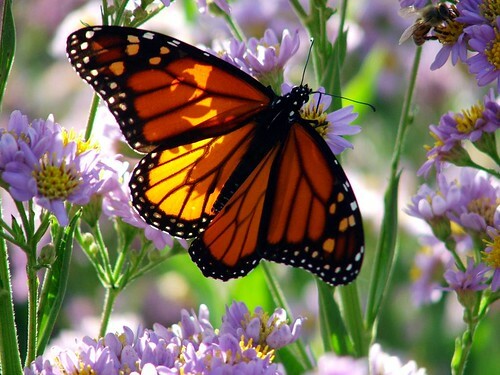 We can easily create lists of plants that butterflies love. 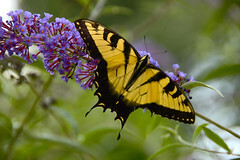 Consider planting Asters, Joe-Pye weed, Black-eyed Susans, Lantana, Butterfly Bush, Butterfly Weed, Liatris, Pentas, Coreopsis and Purple Coneflowers. These are gorgeous plants and butterflies will flock to them in large numbers. Gardeners can easily provide water by soaking the ground in an area next to favorite plants or by having small dishes/birdbaths with water in the garden. By providing water, you’ll attract butterflies. If you have a small pond, lay a stick on the edge so one end is in the water and one end on the shore. This will provide an easy entrance way for both butterflies and frogs. It also looks more realistic than bare edged ponds. And finally, we need to create a gardening a ttitude that says that in order to get those gorgeous butterflies, we need to feed the caterpillars that hatch out to be butterflies. It is OK to plant specific plants these immature insects require and it is OK if they chew them up. You have to have food in your garden for all phases of this creature if you want to attract them. 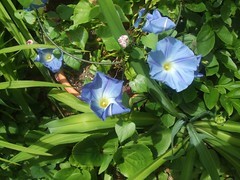 The tip is to plant the following plants at the back of the garden so you wont’ see the damage. Plant Wild Asters, Clover, Hollyhocks, Lupines, Mallows, Marigolds, Milkweed, Nettles and Thistles, Parsley, Passionflower (in baskets) Plantain, Snapdragons, Sorrel, Turtlehead and Violets. 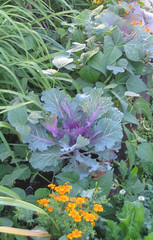 Doug Green, award winning garden author of 7 books, answers gardening questions in his free newsletter at http://www.gardening-tips-perennials.com. 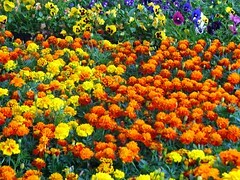 Every year when it comes time to plant your annuals there a few things you need to consider. 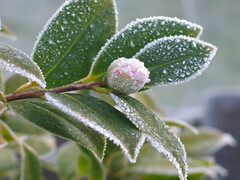 The location of where you are planting, is the danger of frost past, what kind of irrigation system you are dealing with, what kinds of annuals and what sort of feel you want your garden bed to have. Before you can even make any decisions about the colors and flowers you want to use you need to consider the location of your garden. For example, if you live in Michigan you need to know that Michigan has hot and dry summers, and late spring frosts. In this case you would want to pick an annual that can handle a light frost, such as marigolds, or begonias and can also handle the very hot and dry summer weather. The annual should hold up in extreme heat, but remember that all annuals need to be watered regularly, not over watered or you will just have dead annuals. Is the spot a dry shade, wet shade, dry sun, wet sun, somewhere in between? You need to know how much sun this location gets. Is it morning sun which is cooler or is it afternoon sun which is more brutal? Does the spot get 6 hours of sun or less…because if it gets less than 6 hours, a full sun plant will not thrive. You are better off with a partial sun/shade choice. So the next thing you want to consider is what kind of irrigation system do you have. If you have one that is professionally installed and basically waters the whole bed, then just make sure you adjust it to water only about 3 or 4 days a week for about half an hour. Plants do not need water every day! In fact their roots need to dry out just a little so that they are encouraged to grow and reach for the water. If you water a plant too much it will surely die as if you never watered it at all.